The smallest group this year assembled for the first game of the week at the Bangpakong Riverside course which, as always, was in magnificent condition with well-grassed fairways and smooth slick greens. A number of changes are taking place here with trees being removed in some places as well as grassed areas and being replaced with waste areas. It is difficult to fathom the rationale behind this as in most people’s opinion it detracts from the course and does not add to it. Some are even placed in blind spots from the tee and thus create a bit of unfairness for those unaware of the changes. Once again the wind was strong today; it seems we are now in the windy season prior to monsoon rains. 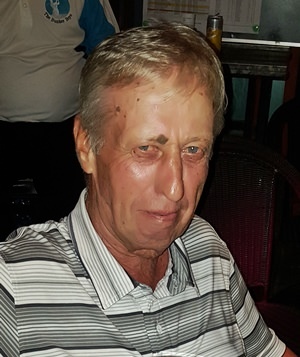 Geoff Parker came roaring back to form today with an exceptional round of forty-three points, sixteen points on the last five holes and a great score in the conditions. Second went to Jimmy Carr a full seven strokes adrift on thirty-six, with Tony Robbins a further stroke back. Near pins went to Jimmy Carr, Geoff Parker, and two to Tony Robbins. The Bunker Boys made a return to Emerald today after an absence of about two months. On arrival we found the course was clear, the weather fine but humid, so we looked set for a good speedy round. The course was in its usual condition, well grassed but with greens a little on the slow side. The rough has been allowed to grow up in many areas so anyone offline was severely punished. We had a bit of a USA coup today with Raleigh introducing a fellow countryman and new member Paul Lanzetta, who took the chocolates in his first visit with a score of thirty-six points off a seven handicap. Not to be outdone, Raleigh himself came in second with thirty-three points, while the consistent Geoff Cox took third place on thirty-two. Near pins went to Paul Lanzetta, Geoff Parker, and Jimmy Carr. The clubhouse at Eastern Star is still undergoing extensive renovations and refurbishment so conditions are a little difficult at present. The course is still in good condition but today a very still breeze made for more difficult than normal scoring. Usually at this course scoring is on the low side and today was no different with the bulk of the group failing to reach thirty points. Today’s winner was Geoff Cox with a modest score of thirty-three and Geoff was also the only one to reach a par-three green and therefore collected all the near pin booty. Second place went to Jimmy Carr on thirty-one points while Peter Allen stayed in the race for golfer of the month claiming third spot on thirty points.